The Supreme Court has made it mandatory to file the Income Tax returns with Aadhaar card and has asked people to get it linked with their PAN cards before March 31, but the numbers are not rising. However, income tax returns filers must beware and should rush to make the linkage. Or else they will suffer consequences. Central Board of Direct Taxes (CBDT) Chairman Sushil Chandra, while addressing an Assocham event on Feb 7 2019, said that only 23 crore PAN card holders have so far linked their cards with biometric ID Aadhaar, even as the deadline to link the two comes to an end on March 31, 2019. This means more than half of PAN card holders are yet to get their cards linked. They should definitely get it done as soon as possible. All these people could be in big trouble as CBDT might even consider canceling their PAN. By linking with Aadhaar, We will know whether there are any duplicate PANs or not. And there are certain duplicate PANs. 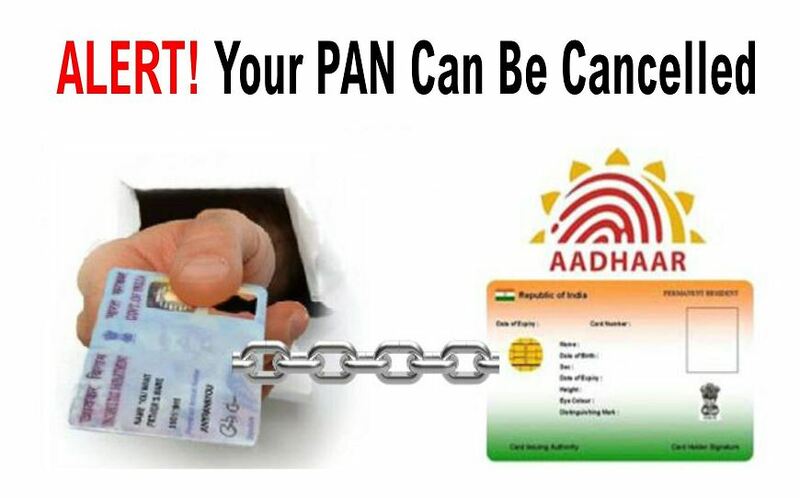 If it is not linked, we may cancel the PAN also. Chandra said that once Aadhaar is linked with PAN and PAN is linked with bank account, the IT department can find out spending pattern and other details of the assessee. He said that it would also be easier to gauge whether the benefits of welfare schemes are availed by eligible persons. This year 6.31 crore returns have been filed, which is much more than 5.44 crore persons who had filed last year. It is not absolutely true that if we reduce tax rates, compliance goes up. During this year we have followed the policy of finding the non-filers. We have got third party information and we are checking whether persons are filing returns or not, whether adequate income being shown. Previous post Budget Impact on Business and MSME Next post Why you should invest in ELSS?